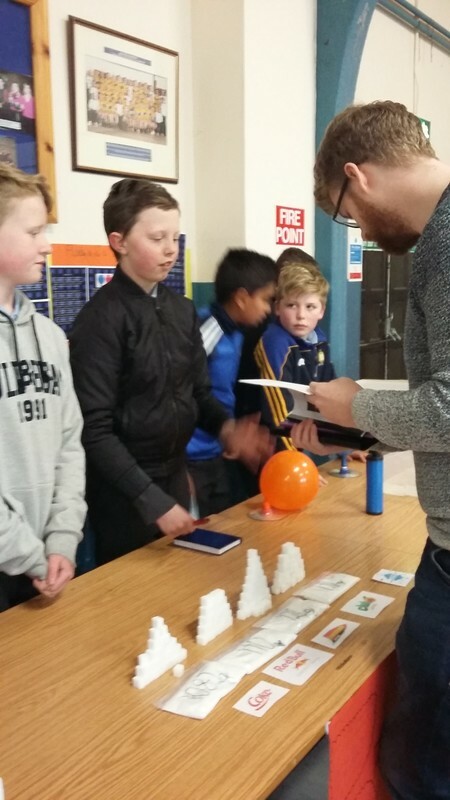 Engineers Week 2017 got off to a flying start with a visit by 4th Class to UL to experience an interactive presentation by the renowned physicist DR. Barry Fitzgerald who is a UL graduate. 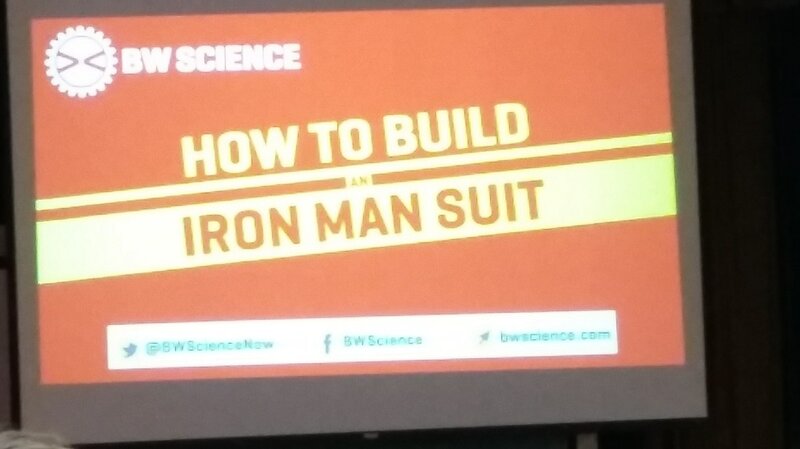 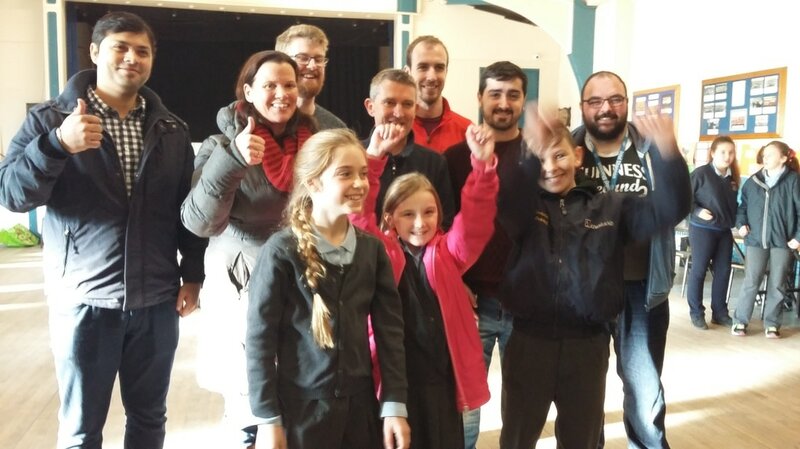 The presentation entitled 'How to build an Iron Man Suit' grabbed the imagination of young and old! 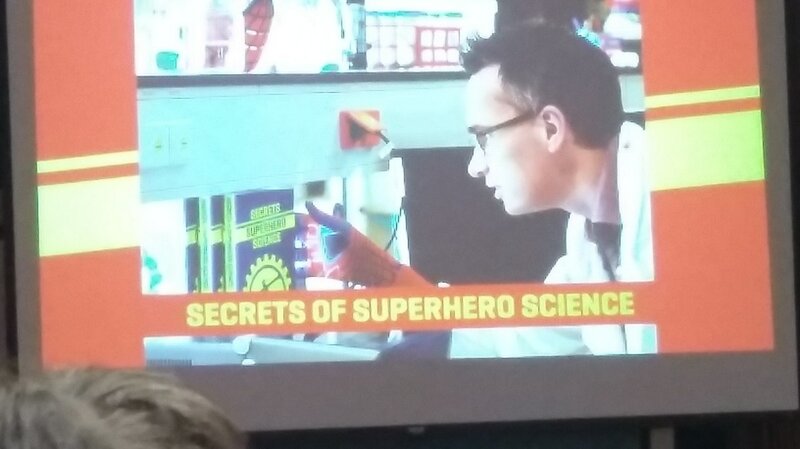 Superheroes were the order of the day linked with physics chemistry and engineering. 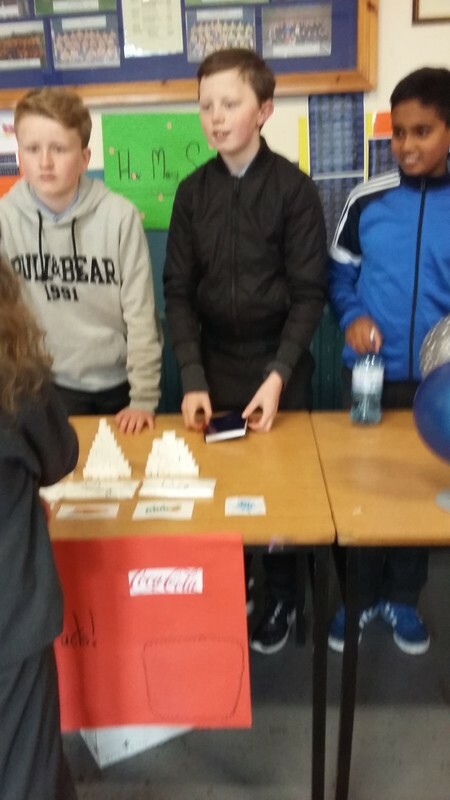 Thoroughly enjoyable! 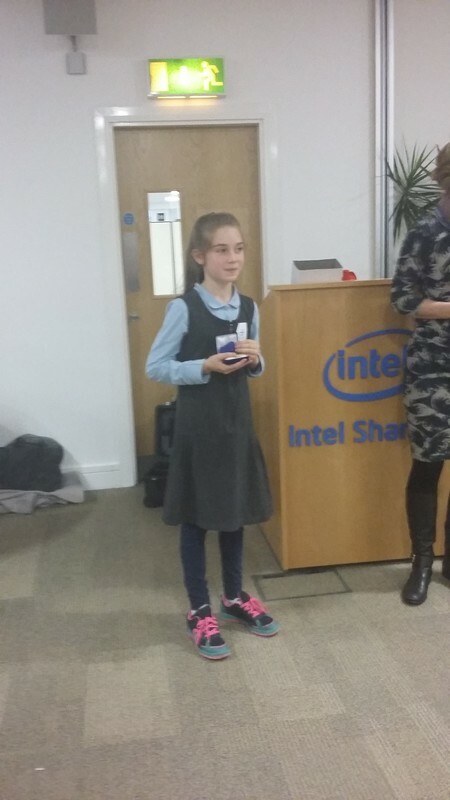 The INTEL Mini Scientist Munster Final was held in INTEL Shannon in December 2016. 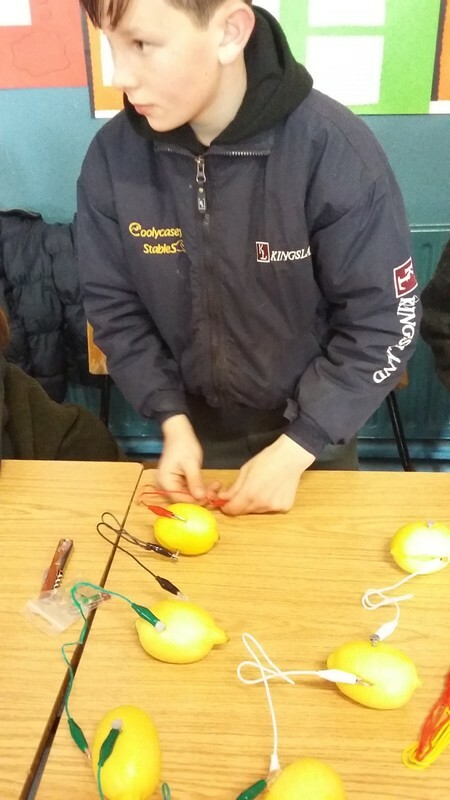 28 teams from all around Munster took part. 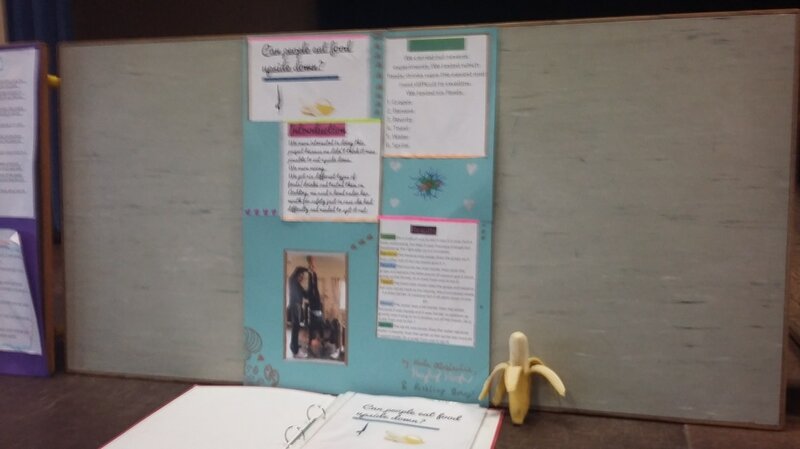 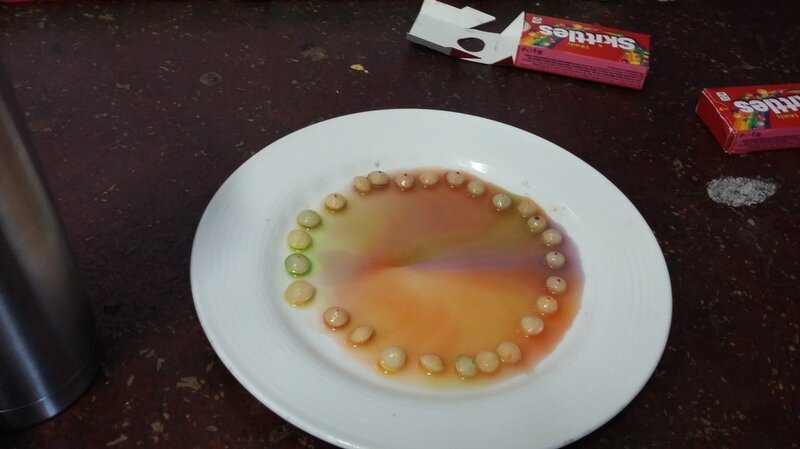 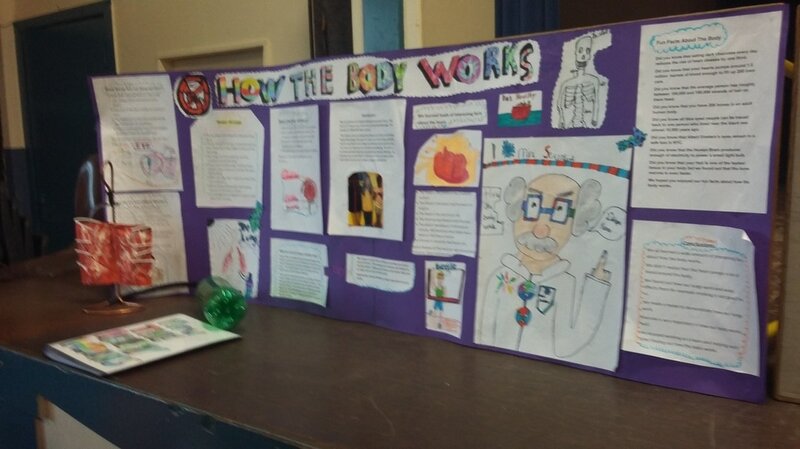 It was a very interesting display from the young scientific minds in our Primary Schools. 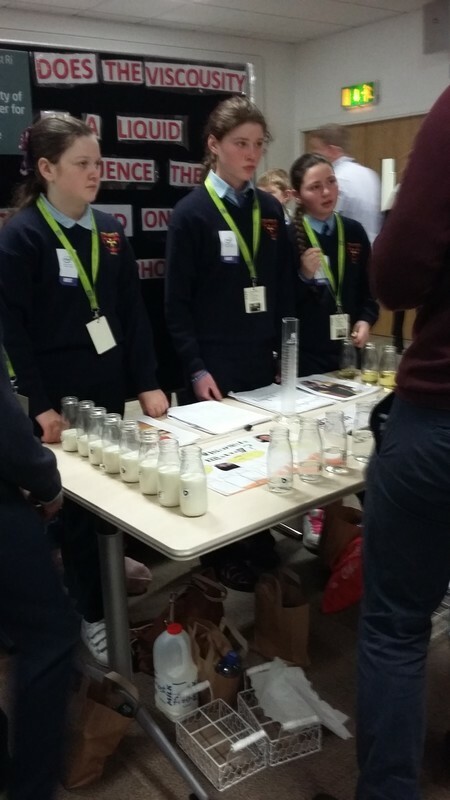 Co. Clare did exceptionally well scooping 4 out of the 6 finalists to go forward to the All Ireland Final. 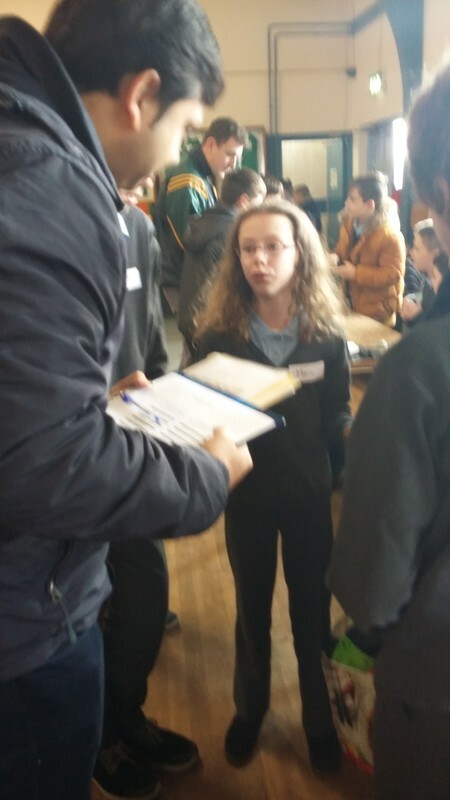 Maddie Horan from our 4th Class was proudly one of the finalists. 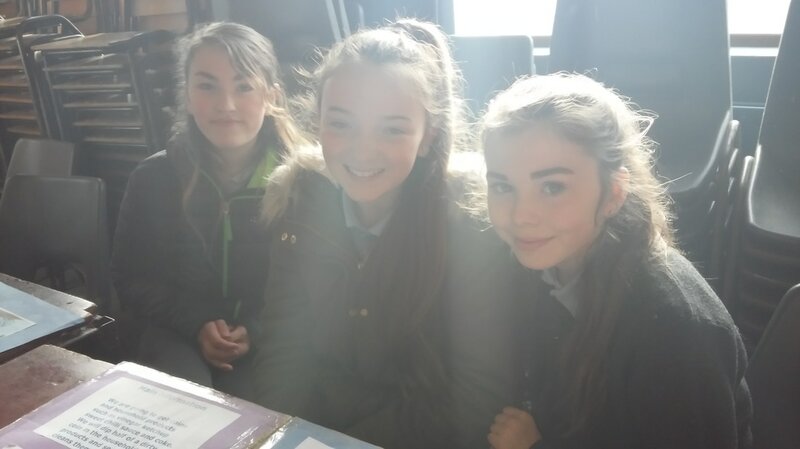 Congratulations Maddie and best of luck in the final. 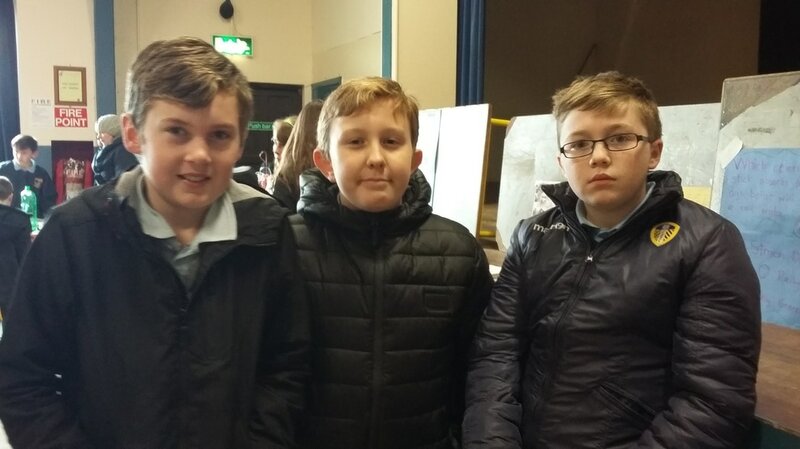 The final will be held in the Helix in February. 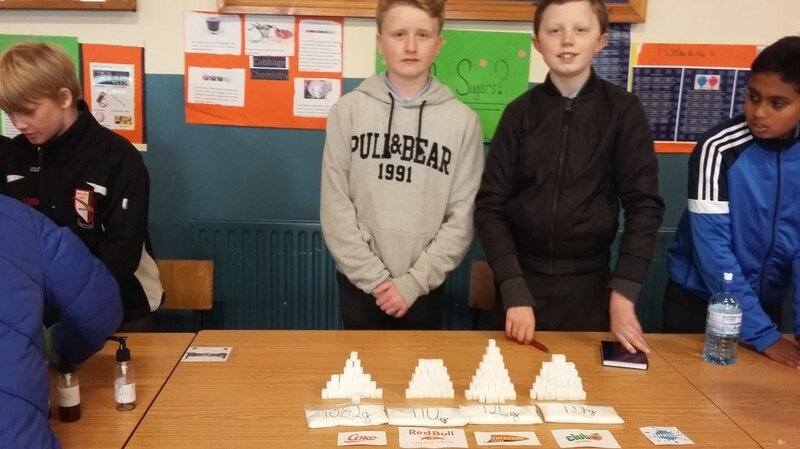 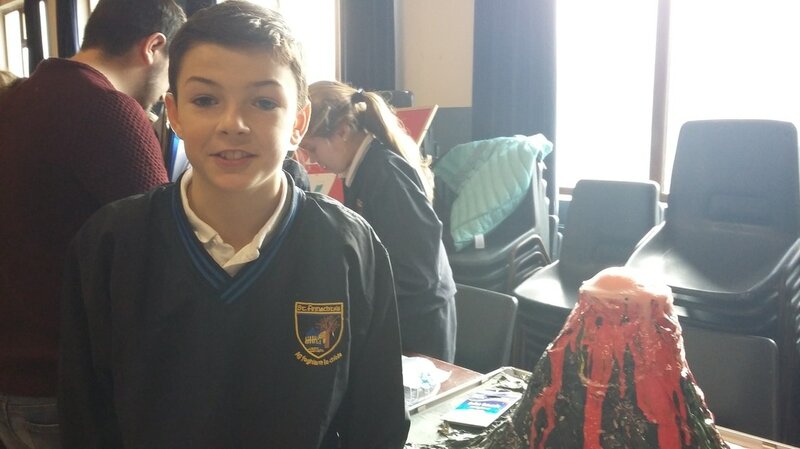 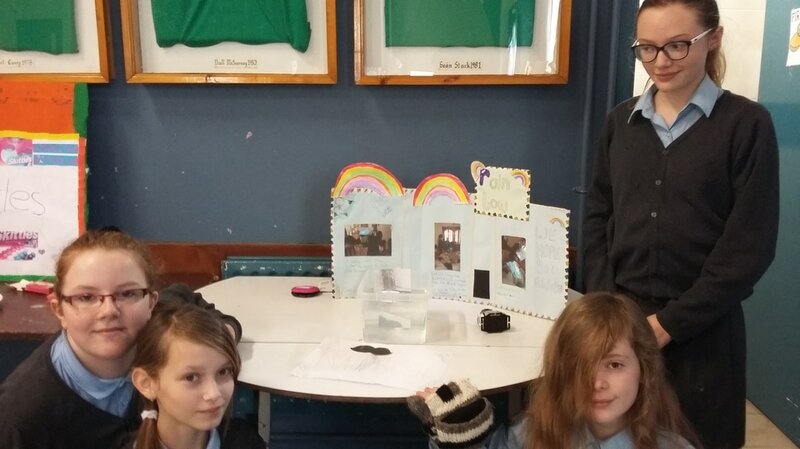 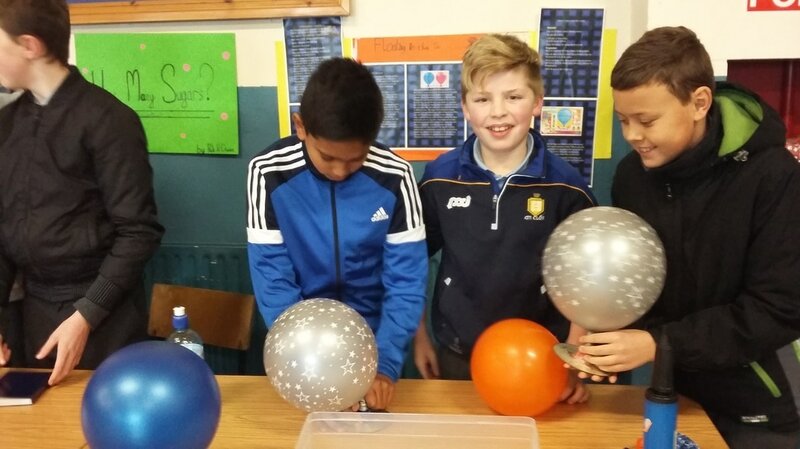 The 2016/17 School Science Fair was held in the GAA hall on Friday 25th November. 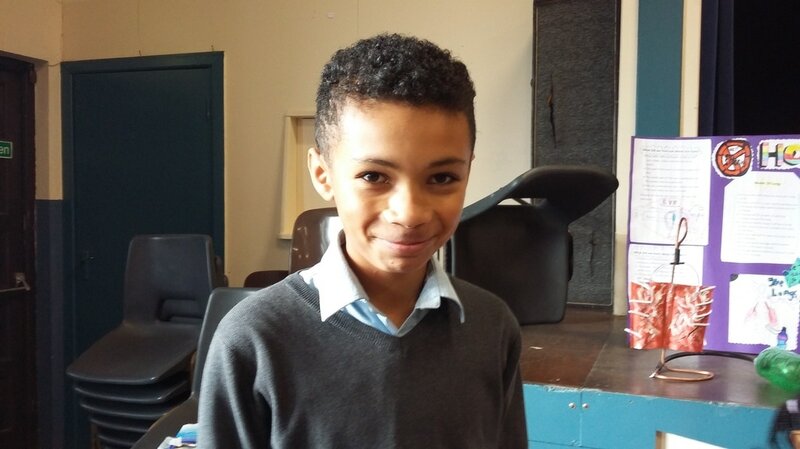 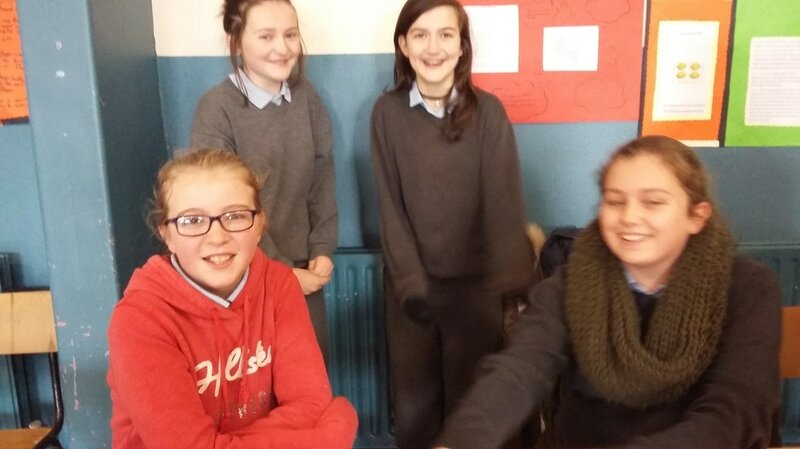 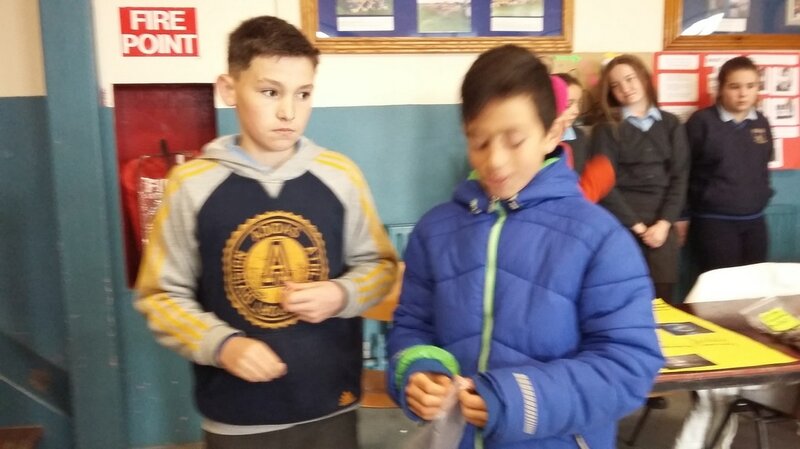 All 6th Classes and some of our 4th and 5th classes took part. 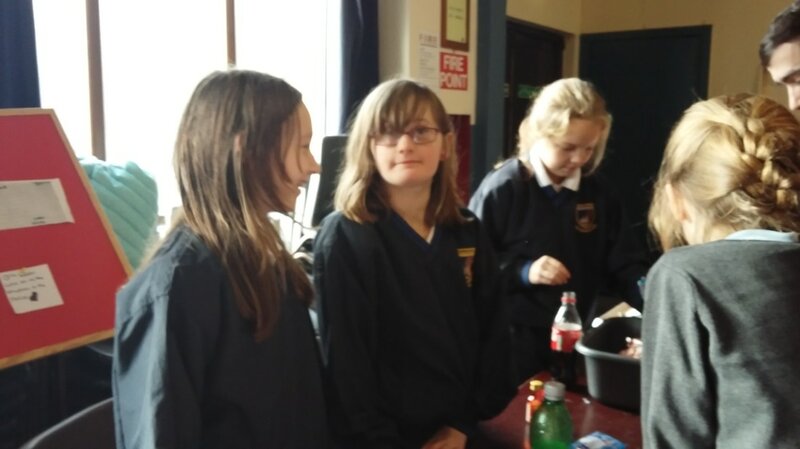 There was a great atmosphere on the day. 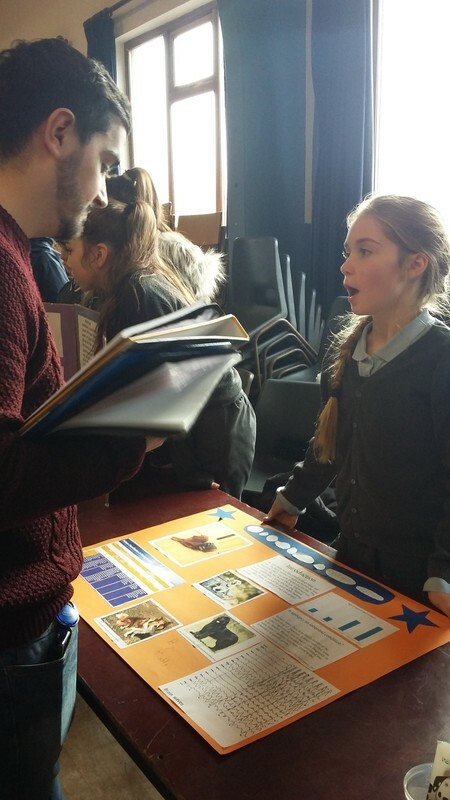 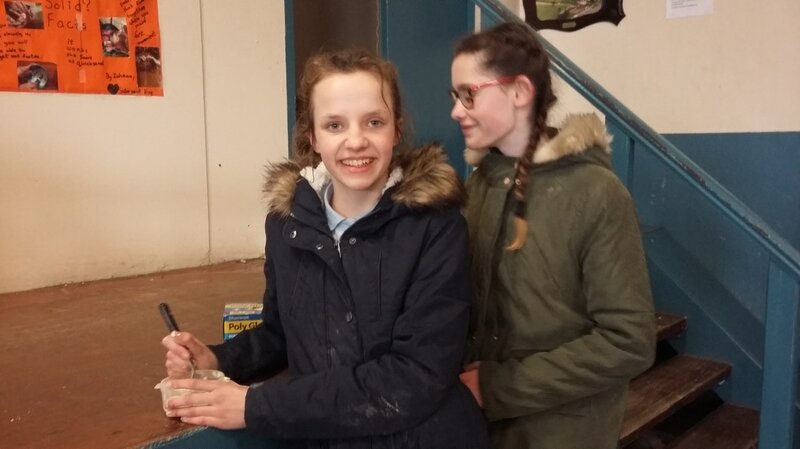 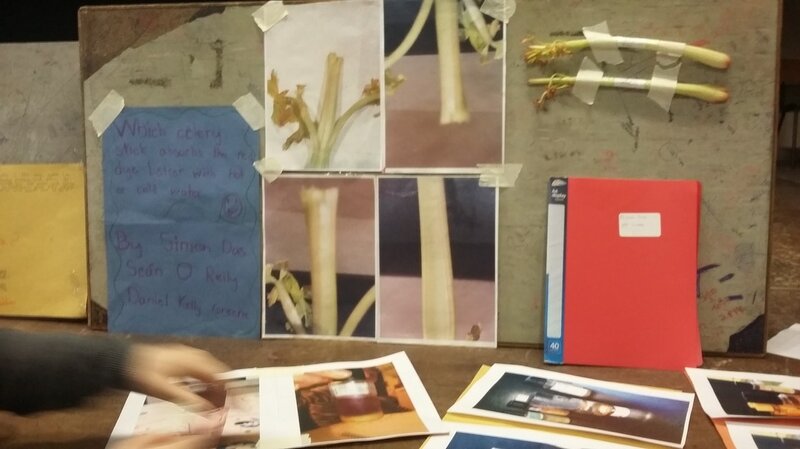 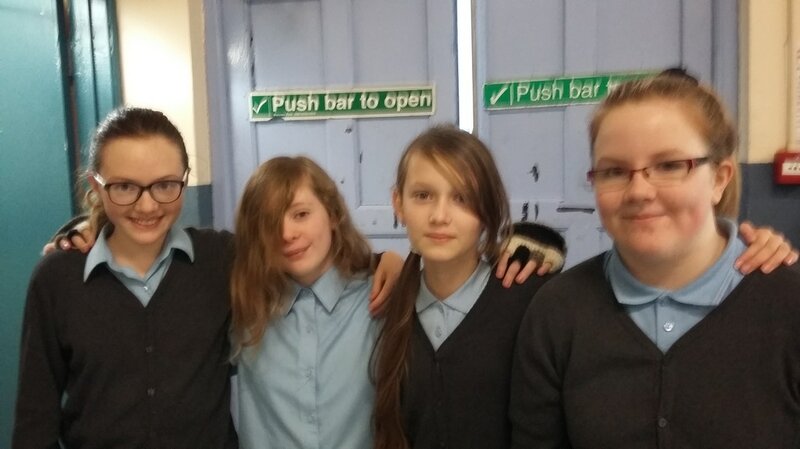 There was genuine interest among the pupils in each others projects. 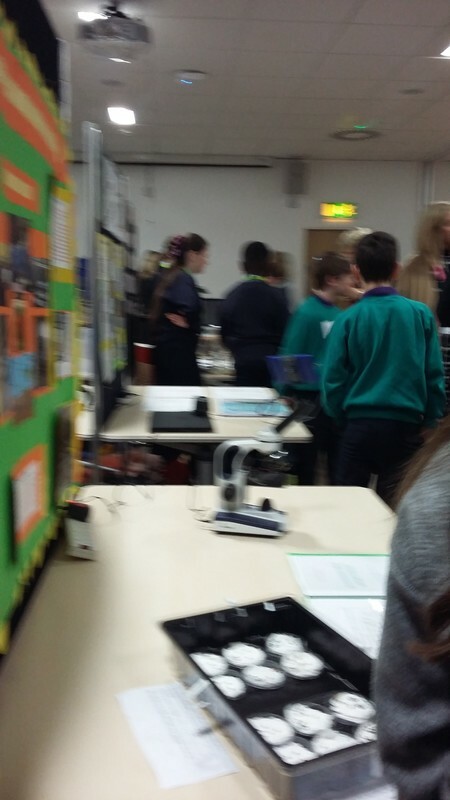 INTEL personnel were very impressed by the standard and the scientific questions being asked by the pupils. 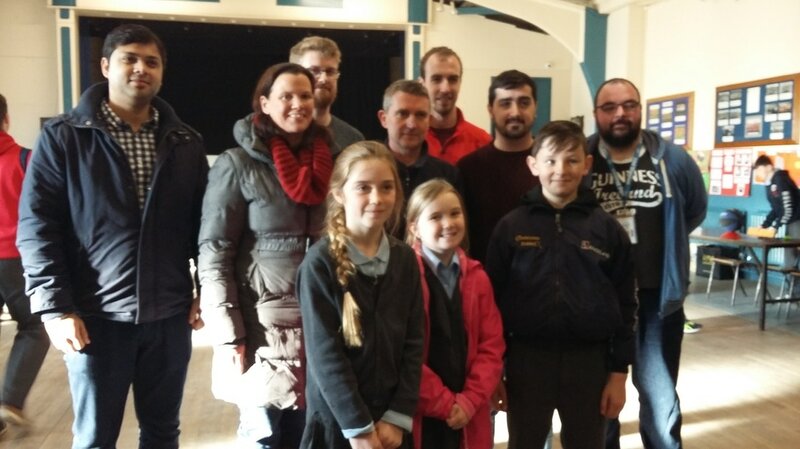 Very well done to all participants and their teachers. 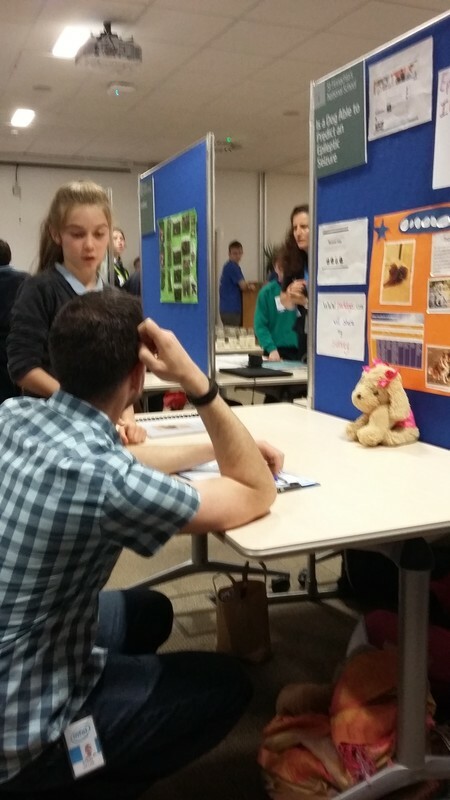 INTEL judging panel with the three project winners that they chose. 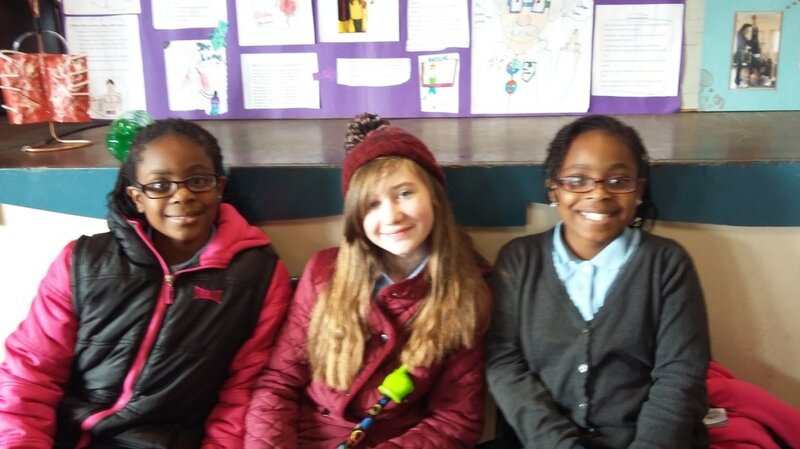 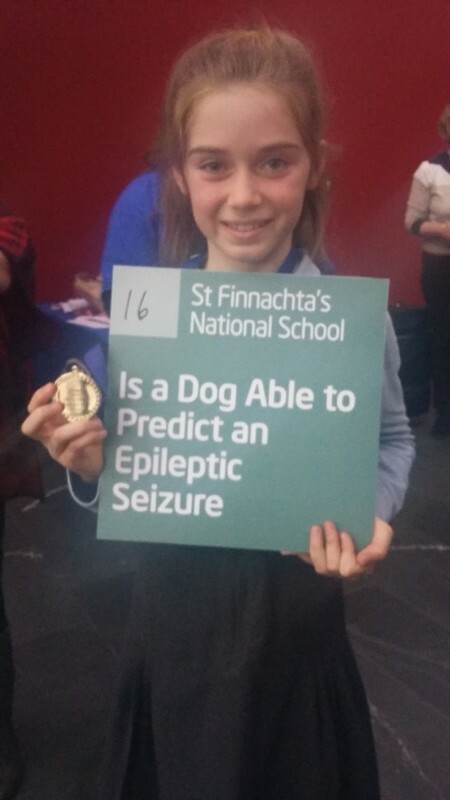 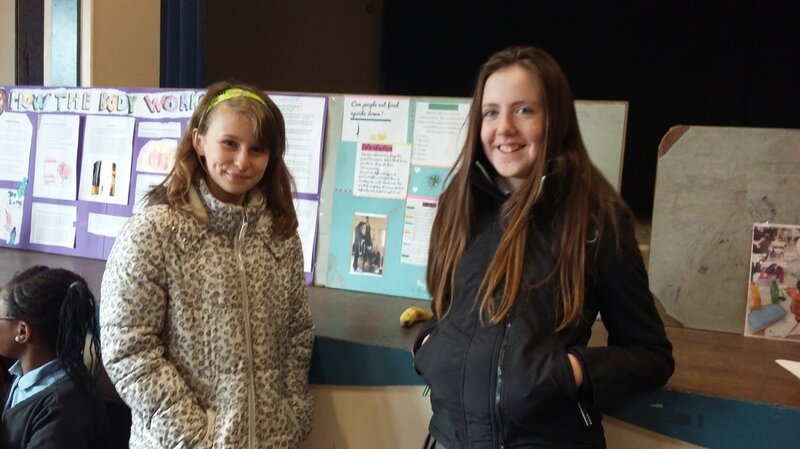 1st Maddie Horan 4th Class with her project on whether a dog can predict the onset of an Epileptic Seizure. 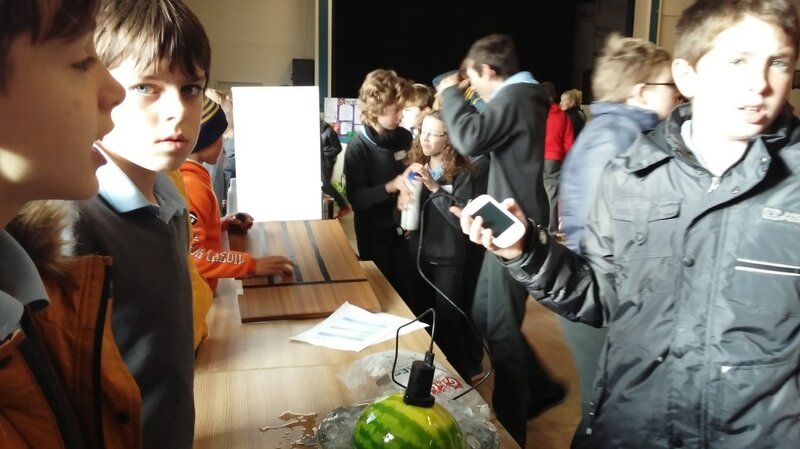 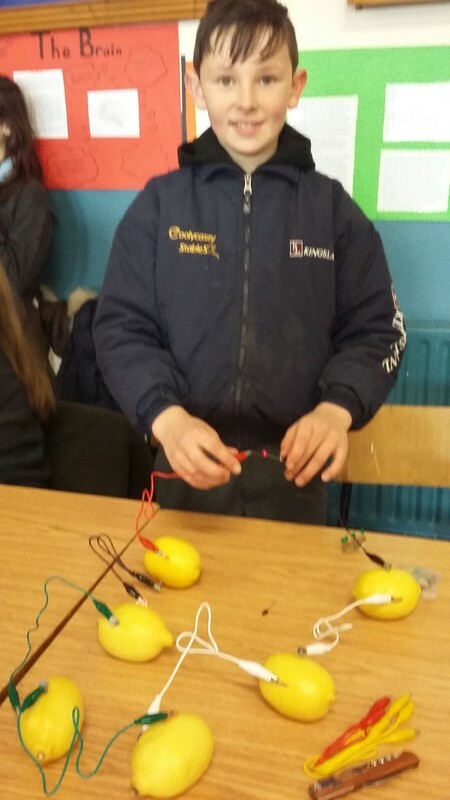 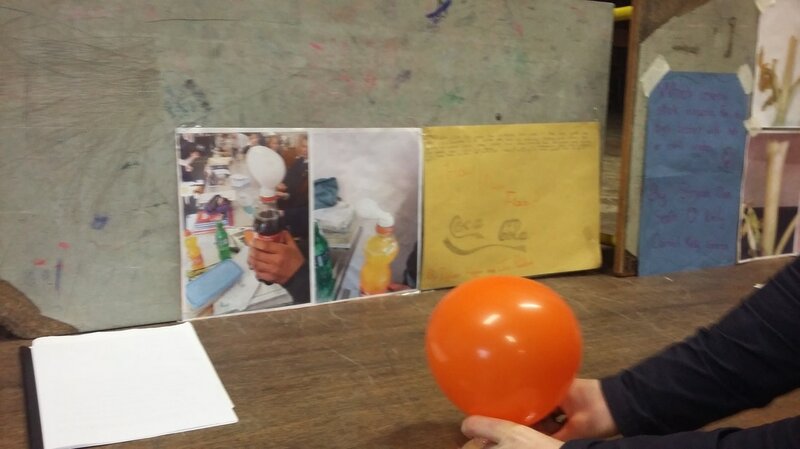 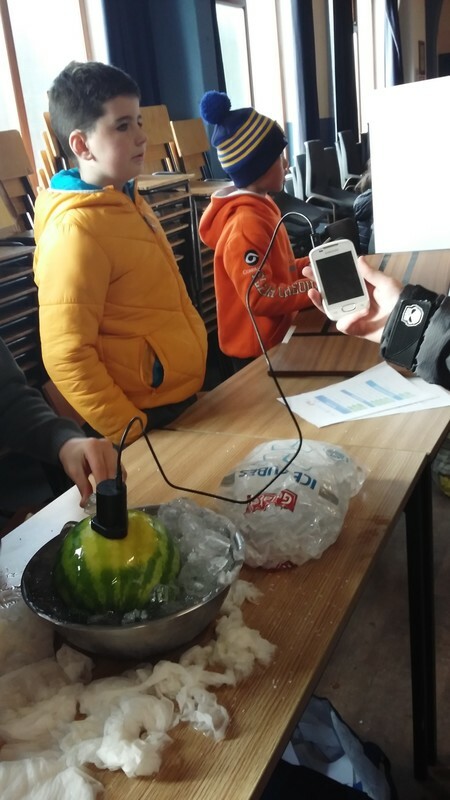 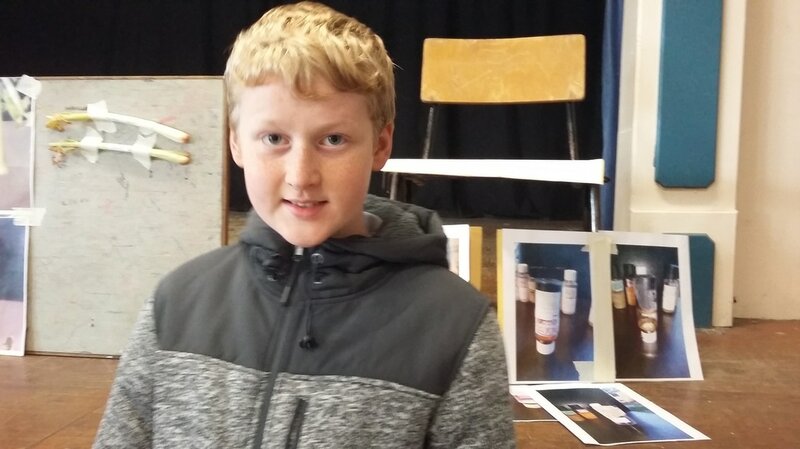 Joint 2nd place went to Jack D'Arcy , 6th Class, for his very visual project on Lemons lighting a LED bulb and Amy Turner 4th Class on her demonstration of the Power of HydroElectricity. 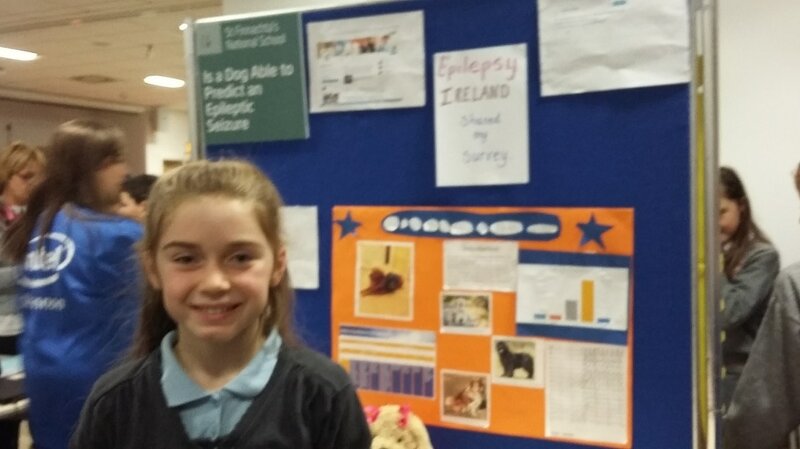 Maddie will progress to the Munster Final in Intel Shannon in December.